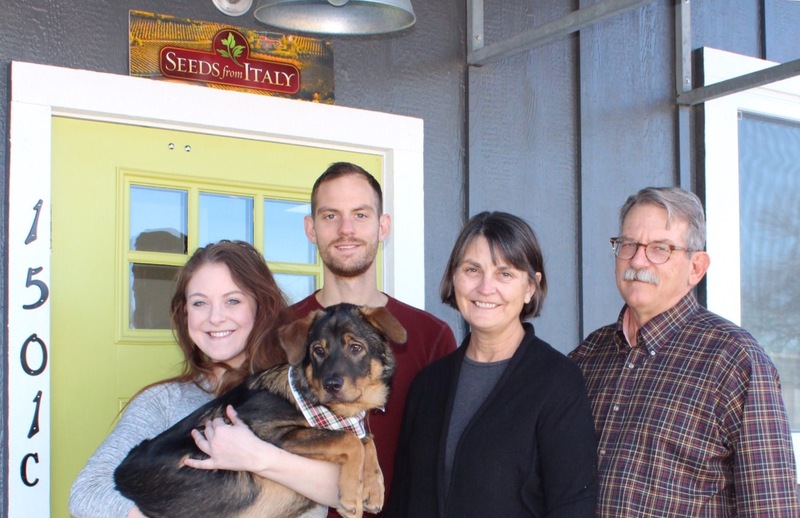 Seeds from Italy was started in 2001 by Bill McKay, a dedicated gardener and cook, because he couldn't find the Italian vegetable varieties he wanted to grow. By luck, he happened upon Franchi Seeds, Italy's oldest family-owned seed company, which offers an extensive selection of traditional Italian varieties. Franchi didn't have an agent in the U.S., so Bill started importing the seeds and reselling them. For the next decade, Seeds from Italy grew rapidly under Bill's enthusiastic ownership. 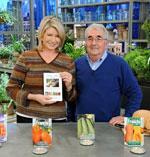 You can watch Bill on the Martha Stewart Show talking about his favorite Italian vegetables. 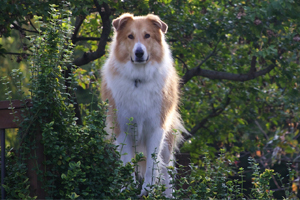 In 2011, Bill decided he was ready to retire. 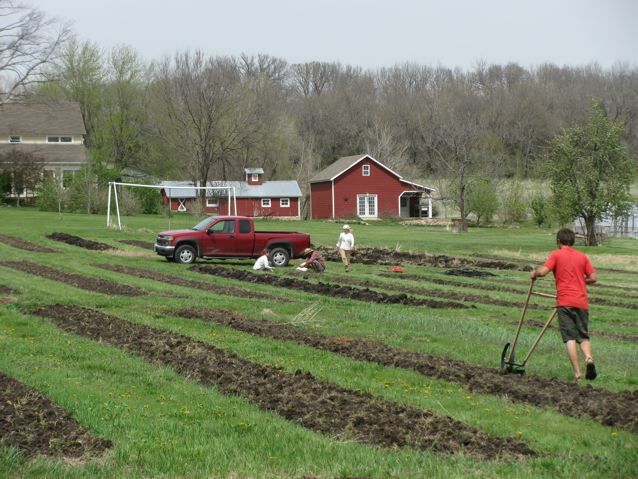 He sold the business to Dan Nagengast, a long-time market gardener in Lawrence, Kansas. In addition to growing vegetables and flowers for local markets, Dan was director of the Kansas Rural Center, a nonprofit that advocates for sustainable agriculture and family farms. The Lawrence Journal World wrote about Dan taking over the business and posted a video interview that you can watch here. Dan is married to Lynn Byczynski, the founder of Growing for Market, a national periodical for market farmers, and the author of several farming and gardening books, including The Flower Farmer: An Organic Grower's Guide to Raising and Selling Cut Flowers. The couple's adult children, Will and Laurel, also work in the business. Laurel, Will, Lynn, Dan, and resident pup Raffi in front of the new office and warehouse, December 2017. Dan and Lynn are growing Franchi Seeds on their small farm, Wild Onion Farm. We will keep you posted on the results of these trials. We hope you'll use the product reviews feature on this website to contribute your experiences with Franchi vegetables, too. You can also let us know about your gardens by clicking the Contact Us link above, or by finding us on Facebook and Instagram. We love to see your garden pictures! 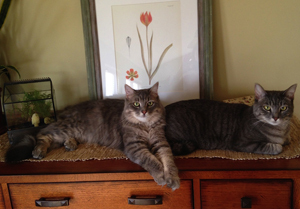 Finally, we would be remiss to not mention the other valuable members of our team: Angus, who warmly welcomes all visitors (except deer), and the sisters Rosie and Vera, who let all mice know that they are not welcome. Everyone here at Seeds from Italy thanks you for your business and hopes your crops will be robust, plentiful, and delicious! In 1783 (the year the American Revolution ended) Giovanni Franchi started selling seeds around the market squares of Parma from his horse-drawn cart. The company is still in the same family 235 years later, with Giampiero Franchi at the helm and modern facilities in Bergamo, near Milan. Franchi Sementi (Sementi is the Italian word for Seeds) is a family-owned business that is not affiliated with any other seed company. Franchi Sementi is so much more than just packaged vegetable seeds; it’s a story of tradition, pride, experience, quality, and excellence handed down over seven generations. Seed is stored in climate-controlled rooms to maintain its viability. 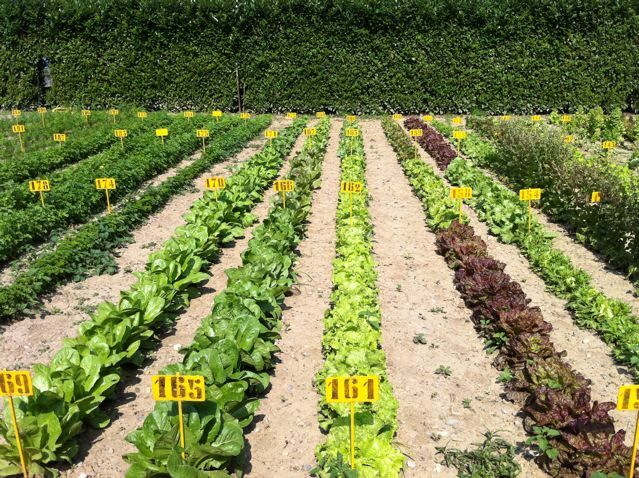 Varieties are regularly grown in trial gardens outside the warehouse to be sure they are correctly named and consistent; the photo below shows a small portion of the trial gardens. Franchi buys 70% of its seed from Italian farmers. Someone from the company visits those farmers regularly to ensure the seed crops are healthy and quality standards are observed. The small percentage of seeds that are not purchased from known contractors are grown out in the trial gardens to ensure their quality. Franchi seed packets are big and beautiful! The amount of seed is always generous, making them a great value for the price. Packets have full-color photos on the front and descriptions in multiple languages on the reverse. We add an English-language label with growing instructions, too. Most important, Franchi seeds grow strong, healthy plants that will give you delicious food and beautiful flowers. Grow Italian and taste the difference!